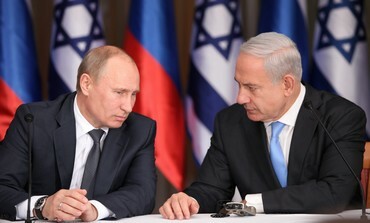 The recent visit to Israel by Russian President Putin represents yet another example of the extraordinary and unpredictable events continuously impacting on Israel and the Jewish people. Putin’s presence in the Jewish state revived memories of my involvement in the Soviet Jewry struggle, which was the central focus of my public life for many years. Recruited as a young man by Shaul Avigur, the Israeli Prime Minister’s coordinator of the Soviet Jewry campaign, I was engaged in activities ranging from persuading the Australian government to become the first country in the world to raise the plight of Soviet Jewry at the UN to writing a book based on Soviet sources exposing state-sponsored anti-Semitism which led to divisions amongst Western communists. The climax of my involvement was during 1978 to 1980 – when my company was designated to handle travel arrangements for the Australian team at the Moscow Olympics, thus obliging the Soviets to provide me with entry visas – until then denied. Thanks to the personal interventions of the Australian Prime Minister, in between official Soviet meetings, I was ferried in embassy cars to the homes of the key Jewish dissidents and refuseniks and engaged them in regular intensive discussions. This terminated abruptly when Australia joined the Olympic boycott. I was arrested and charged with espionage for liaising with refuseniks who allegedly “had access to state security secrets”. I was ultimately expelled and threatened with imprisonment should I ever set foot again on Soviet soil. Yet in 1987, seven years later, I was invited by the KGB-controlled Moscow Arkhipova Synagogue, to be their guest over Rosh Hashanah and permitted to give Zionist addresses in my faltering Yiddish from the pulpit. This subsequently led to the establishment of the first Jewish cultural center since the revolution named after Solomon Mykhoels, the renowned Soviet Jewish actor and the artistic director murdered by Stalin in 1948, and the first Hebrew song festivals in municipal theaters in both Moscow and Leningrad. The sight of theaters, packed with of Jews of all ages, tears streaming down their eyes as they heard Yaffa Yarkoni and Dudu Fisher singing Israeli songs remains permanently seared into my memory. Fast-forward to June 2012 – Jerusalem streets festooned with Russian flags. US President Barack Obama who went to Cairo shortly after his election has yet to visit Israel. Yet Russian President Putin, who had already visited Israel in 2005, again included Israel in his first overseas trip immediately following his election. He was accompanied by a huge contingent including Russian businessmen, Jewish oligarchs and Chabad Chief Rabbi Berl Lazar. Putin was the keynote speaker at the inauguration of an exhibition in Netanya commemorating the role of the Red Army in the victory against Nazism. He spoke warmly about Israel, expressing pride that the Jewish state contained the largest diaspora of former Soviet citizens. Just a block away from my home, Putin was feted at the residence of Prime Minister Binyamin Netanyahu which was followed by a banquet with President Peres. He also met a number of former Soviet citizens who are currently Israeli government ministers, including Foreign Minister Avigdor Liebermann and Yuli Edelstein, one of the younger refuseniks I befriended during my Moscow visits. Putin seemed nonplussed even when it was clear that he was outraging his Arab allies. There was talk of increased Russian purchase of defense equipment from Israel – a contrast to the far left calls for boycotts against Israel. 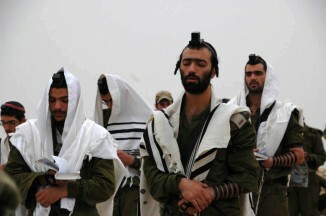 He visited the Kotel (Western Wall) wearing a yarmulke accompanied by Rabbi Lazar – an act which would make his former Bolshevik predecessors turn in their graves. This also infuriated radical Muslim groups, especially the extremist Israeli Islamic Movement whose spokesman stated that the “Russian bear, which licks the blood of our relatives in Syria” had adopted an approach “that sucked up to the Israeli Establishment at any cost”. When my mind flashes back to the Soviet Jewry protest movement and in particular, to my visits to Moscow, the Putin visit seems utterly surrealistic. I recall conversations in Moscow with refuseniks like Vladimir Slepak, the late Professor Alexander Lerner, Yosef Begun, Pavel Abramovich, Vladimir Prestin and many others, Never in our wildest dreams could we have visualized that one day, we would all be living together in Israel and witnessing the visit of a former senior KGB officer who had become the president of Russia. However, this should not lead us to conclude that the autocratic President Putin has become a devoted ally of Israel and the Jewish people. We must remind ourselves that despite warm words, he heads a country which has ties and provides weapons to some of our greatest enemies including Iran and Syria. He also tends to support the Palestinian position, both as a member of the Quartet and at the UN and reiterated this to PA Chairman Abbas in Bethlehem. Indeed many doubt whether, if Israel’s survival represented an obstacle to Russia’s short term strategic or national interests, he would lift a finger on our behalf. But it is equally clear, that in contrast to all the Kremlin’s leaders from Stalin until Gorbachev, Putin is certainly not a committed anti-Semite. Despite the endemic anti-Semitism prevailing in Russia and a very hostile Russian Orthodox Church, many of whose prelates still retain a medieval concept portraying the Jews as Christ killers, Putin seems entirely indifferent to Jews. That sharply differentiates him from his communist predecessors who hated us passionately and actively encouraged our enemies to strive towards our destruction. Indeed, it would seem that Putin probably has genuine affection for a country which includes so many of his former citizens. No doubt without admitting it, he probably also recognizes that like Israel, Russia faces threats from Islamic fundamentalists and has strained relations with Turkey. His visit to Israel unquestionably sends clear signals. Even recognizing major divergence of policies in relation to Iran and Syria, and that Putin’s tensions with the United States and interests in the Arab world preclude us from considering him a partner, it sends a message to the Arabs that Russia is not an enthusiastic ally in their efforts to undermine the Jewish state. Mindful of the fact that not so long ago a few hundred Soviet Jews backed by Western Jews played a major role in bringing about the downfall of the Evil Empire, our current relationship with Russia is a most extraordinary positive development in the ever-changing panorama of Jewish civilization. Russia is a far cry from a Western democracy, but it is also not comparable to the former Soviet totalitarian regime and less authoritarian than the Chinese communist model. Like any nation state – particularly one under siege – we are obliged to indulge in some forms of realpolitik to protect our national interests. We should therefore welcome the easing of tensions and establishment of diplomatic ties and seek to strengthen the relationship with Russia – as long as we do so with our eyes wide open.